Juicings' proponents, who include celebrities like Gwyneth Paltrow, claim the practice will provide you with more energy, clear skin, a body clear of toxins and a lighter frame. Juicing fresh veggies and fruits can be quite healthy, but healthy isn't necessarily synonymous with thin. If you want to lose weight, focus on your daily caloric intake, the quality of those calories and your physical exercise. Juicing can be part of the process, but it doesn't guarantee weight loss -- and it may hinder it in some cases. Juicing for weight loss can involve replacing just one meal per day with fresh juice, or it can mean committing to an all-out juice fast, in which you drink juice in lieu of all of your regular meals. You might also combine the two strategies by having juice for a few meals and snacks and eating some solid food at dinner. Juicing requires investing in a juicer so you can squeeze your own leafy greens, herbs, root veggies and fruits. Some companies offer cold-pressed juices at a premium price that you may also use for detox and weight loss. Juice isn't calorie-free. Even if you are only consuming juice, it's easy to take in more calories than you need to maintain your weight. "Shape" magazine notes that a pressed juice usually contains between 100 to 350 calories per 16 ounces. If you're pressing more fruit than veggies through your juicer, the calories are likely to be in the higher range. Juicing can only help you lose weight if you stay in a calorie-intake range that's below the number you burn in a day. For example, if you replace your typical 300-calorie whole-food breakfast with a 300-calorie cup of fresh juice, you aren't trimming calories. Add to that a 350-calorie juice snack twice per day instead of the 160-calorie handful of almonds you ate for snacks prior to juicing and you've actually increased your daily calorie intake. A juice meal may also be less satisfying because it lacks the fiber, fats and protein that a whole-food meal, such as a large green salad with beans and seeds, provides. If you use the juice to replace one meal, you may end up consuming more calories later in the day because it leaves you hungrier -- undermining your weight-loss efforts. If you do a juice fast, you may find the deprivation maddening and impossible to maintain. Even if you do manage to stick to a cleanse for three to seven days -- or longer -- you're more likely to binge on all the foods you've been trying to avoid once it's over. This could result in gaining back all the weight you lost in an unhealthy yo-yo pattern. 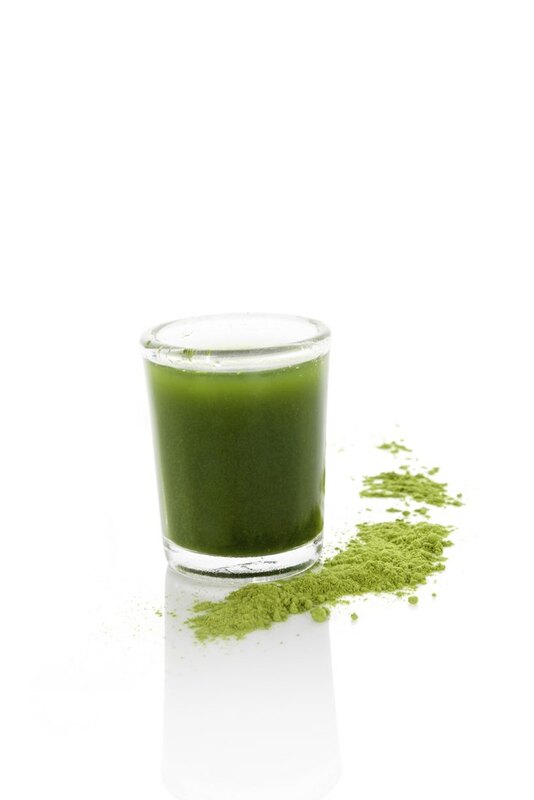 Some juice fasts, especially those that confine you to green vegetable juices, don't provide enough calories. This may result in weight loss at first, but ultimately can slow down your metabolism because your body senses that it might be starving and it doesn't want to expend excess energy. You may not have enough energy to exercise to help with calorie burn and muscle development, which actually offers a boost in metabolism. Although fresh juices offer an abundance of antioxidants and phytonutrients, along with multiple vitamins and minerals, you may miss out on other important nutrients, such as vitamin B-12, iron, protein and healthy fats. Although juicing isn't a guaranteed weight-loss strategy, and in some cases may hinder your efforts, you can strategically include juicing in a weight-loss plan. A green juice makes a high-nutrient, low-calorie snack -- as long as it's made mainly with ingredients such as leafy greens, cucumbers, parsley and celery. Just be sure to count the calories as part of your total daily intake. If you like the idea of a nutrient-dense meal replacement, consider trading juice for a green smoothie made with kale, cucumber, berries and small amount of almond butter for protein and fat. This smoothie offers many of the same benefits of fresh juice while providing you with the fiber, protein and fat that can help you stay full. Fitness: Do Juice Fasts Work?